I absolutely love Berlin. 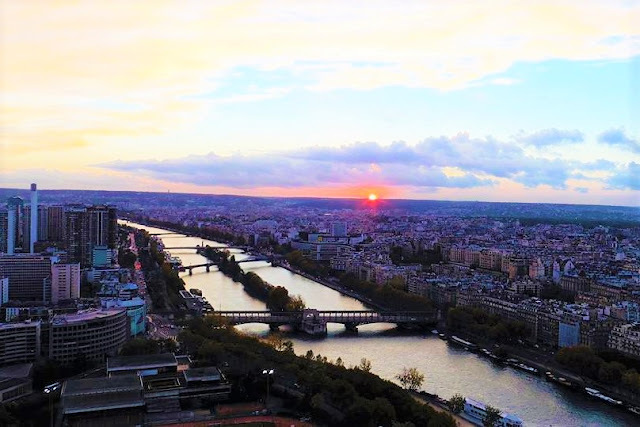 The city has an infectious energetic vibe to it, full of rich history and a dark past from which the city has completely turned itself around and become, well, cool. It's an eclectic melting pot of culture and creative talent. The capital of Germany is a great city to explore and is very easy to do so on a budget. 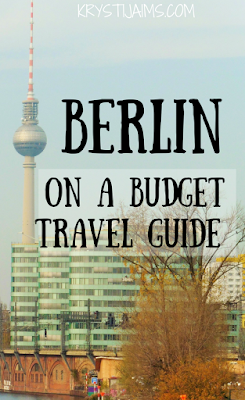 Here is my travel guide with top money-saving tips to help you get the most out of Berlin without burning a hole in your pocket! The Berlin Welcome Card is a great way to save money. Starting from 19.50 Euros for 48 hours, it comes with many great discounts on museums, tours, shopping and restaurants, it covers transport, includes heaps of maps, booklets and information about attractions and things to do in Berlin. For more information here is the website link. 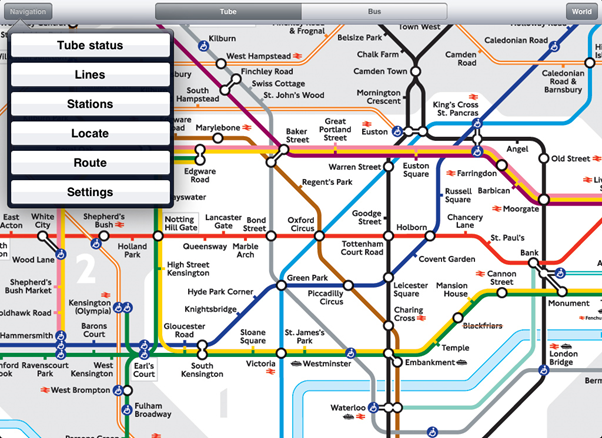 Berlin has very good public transportation that is easy to navigate. From Schönefeld Airport follow the signs to the train station which you can catch directly to the city centre. 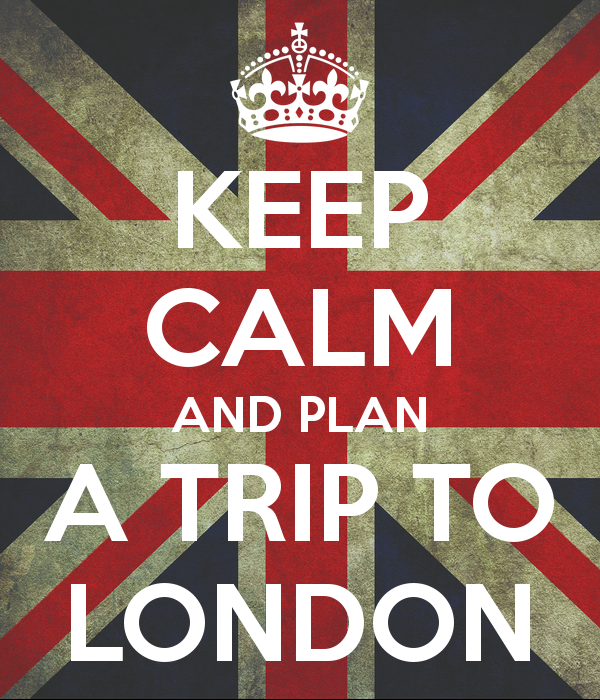 You will need to get a full 3-zone (A, B and C) ticket which only costs 3 Euros (so make sure you already have some Euros on you). You can purchase the ticket from an automated machine and then validate it at the small poles set up on the platform before you get onboard. Berlin runs on an honesty system on all of their public transport- but do make sure to always buy a ticket. It's not worth it to be caught without one- you will get a hefty fine, and they do check on occasion. 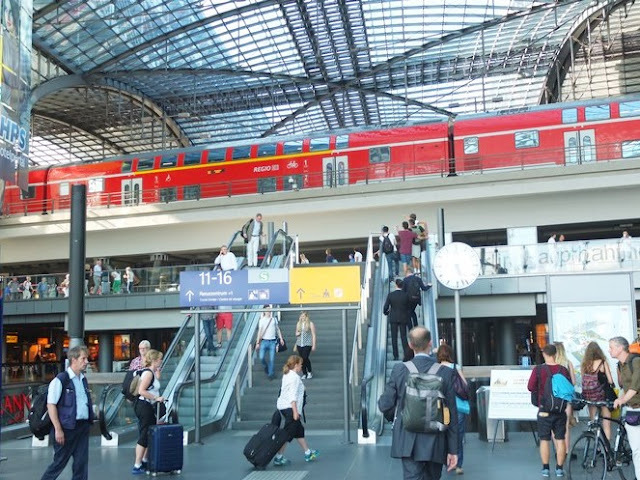 From Tegel Airport it is located closer to the centre and you can catch a TXL Express Bus or the Express Bus X9. These stop right outside of the airport terminal and cost 2.70 € per ticket. Using the train and bus system is fuss-free, easy and much cheaper than taking a taxi from the airport, which will cost around 50 Euros! 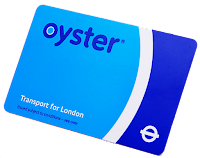 To get around the city you can buy day passes that covers the S-Bahn (overground subway), the U-Bahn (underground subway), the trams and buses. Berlin is a huge city (six times the size of Paris!) and so has three different tariff zones. Single and day tickets cover the first two A and B but if you are venturing out further than the central areas you will need to pay extra to go to C.
An unlimited day ticket for one person (Tageskarte) covering zones A and B costs 7 Euros. A single ticket costs 2.70 € and is valid for 2 hours. 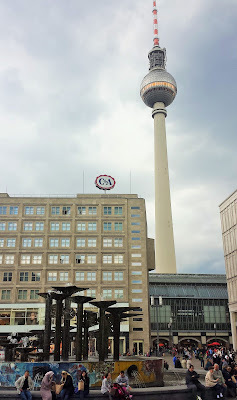 Just a quick note first that in the central district of Mitte is Museuminsel or 'Museum Island'. It is a UNESCO World Heritage site and the five museums here are well worth a visit if you have that in your budget. If you have the Berlin Welcome card you can save 50% off the entry, otherwise it costs 18 Euros for a full day pass (9€ for concession). It's not the cheapest but if you're interested in museums and history it will be well worth your money. Otherwise- on to the free offers! 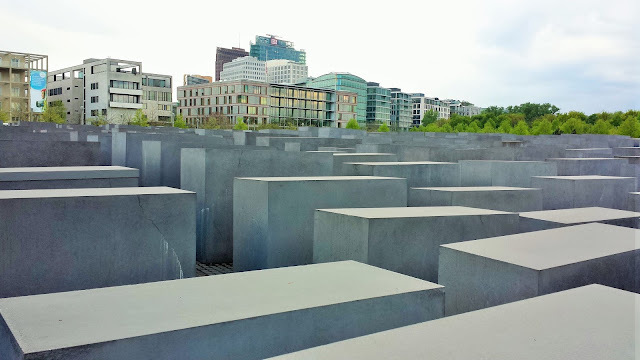 The haunting Holocaust Memorial commemorates the six million Jewish victims of the Holocaust. The memorial consists of a giant field of 2711 sarcophagus-like concrete slabs varying in height on undulating ground. Underneath it is a small museum you can visit that provides information, photos and tributes to the lives lost. 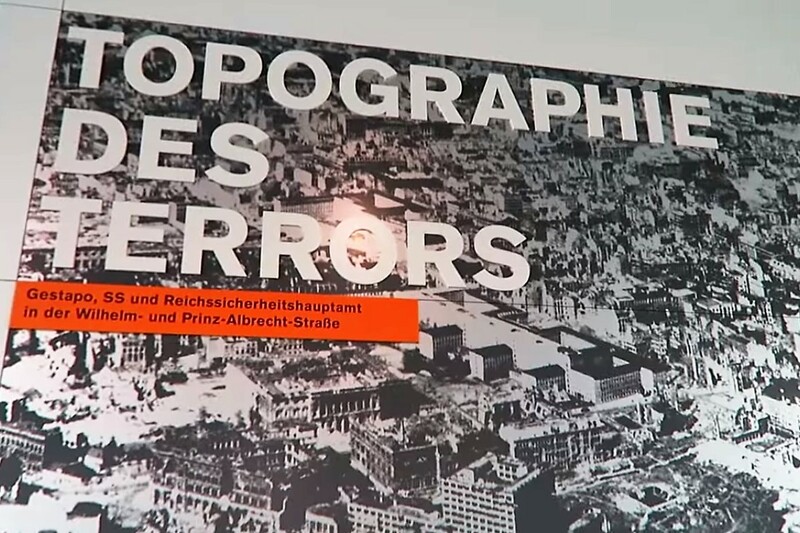 Right where the most feared government institutions of Nazi Germany once stood, including the Gestapo headquarters- the Topographie des Terrors (Topography of Terror) exhibit documents the chronology of Third Reich terror, while introducing all the main perpetrators. From Spring to Autumn read the free articles along the wall to zero in on how daily life changed for Berliners after the Nazi takeover. For an even more in-depth experience you can take the self-guided tour around the chilling grounds, and there is also an exhibition inside filled with photos and information. Germany’s central memorial to the victims of the Berlin Wall- the Gedenkstätte Berliner Mauer (Berlin Wall Memorial) stretches for 1.4 kilometres along Bernauer Strasse, along the actual course of the Wall. 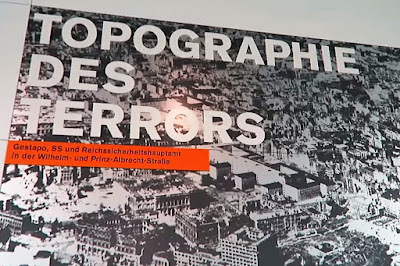 This is the best place to learn how all the elements of the hated barrier and the death strip fit together, how the border fortifications were enlarged and perfected over time, and what impact they had on the daily lives of people on both sides. 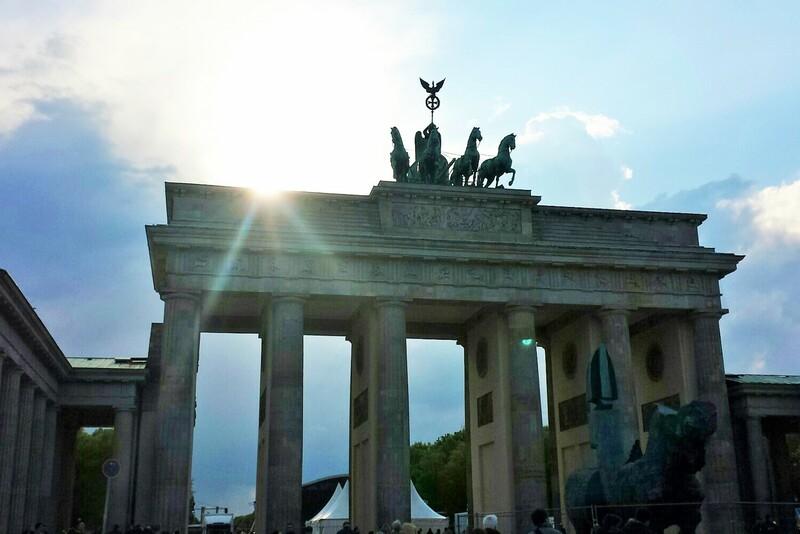 Berlin’s most iconic landmark- Brandenburger Tor (Brandenburg Gate) was built in 1791 as the royal city gate, but spent the Cold War years as a part of the Berlin Wall- and so became a symbol of the divided nation. Crowned by an elaborate sculpture of the winged goddess of victory piloting a chariot, it now serves as an important symbol of German reunification. The Reichstag is home to Germany’s parliament- the Bundestag. 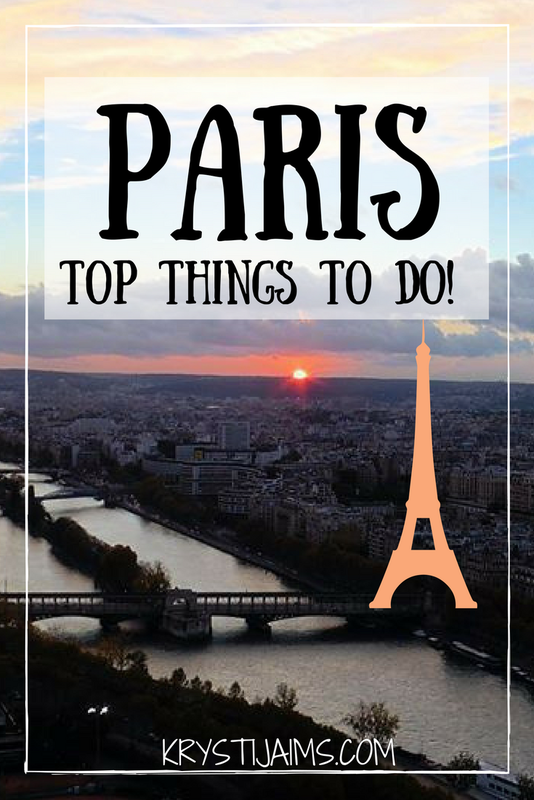 Book in advance and you can catch a free lift ride to its roof terrace which offers spectacular views over the city and close-ups of the modern glass dome atop of the historic building. Pick up a free audio guide and learn about the surrounding sights, the building and the workings of the parliament while peering up the dome’s spiralling ramp. The glass aims to create a sense of political transparency. You can even book for a guided tour through the parliament building - be sure to book well in advance for both by visiting their website. The biggest landmark in Berlin is the Fernsehturm or the 'TV Tower' in Alexanderplatz. 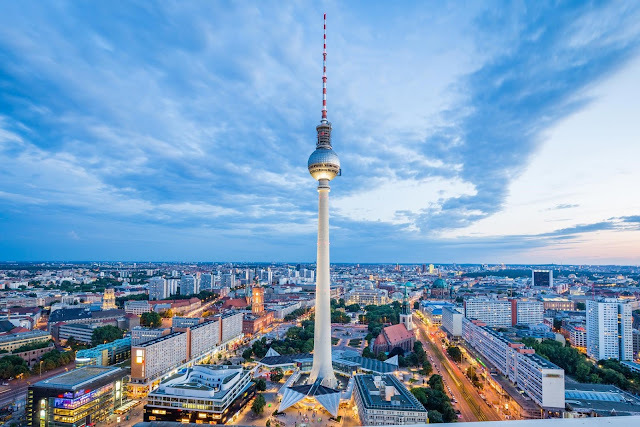 It is the tallest structure in Germany and you can pay an entry fee to visit the top if you like, otherwise just marvel at it from below or from many points around the city- it is highly visible and a great landmark if you happen to lose what direction you are in! Although you have to pay entry to go inside the museums on Museum Island- you can still stroll the island to take in the magnificent architecture of the buildings! The Berliner Dom (cathedral) is jokingly known to the locals as the 'Eyesore of Berlin', nevertheless us tourists still think it's pretty grand! 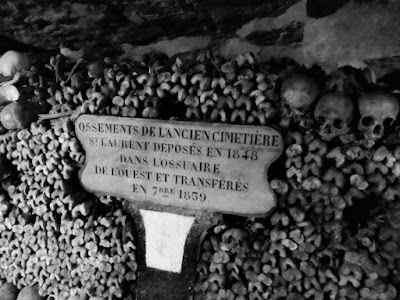 Also located on Museum Island, you can browse around inside for free and even visit the crypt below it. The French Cathedral, Berlin Opera House, Victory Column and Charlottenburg Palace are a few of many examples of the great marvels of architecture worth seeing around Berlin. A colourful memorial to freedom- the East Side Gallery sits along the River Spree and is the longest remaining section of the Berlin Wall. Not long after its fall in November 1989, more than 100 artists from all over the world turned it into an open-air gallery covered in declarations of peace and other often politically minded murals. Walk along the 1.3-kilometre stretch and enjoy the 'artworks' that symbolise hope and friendship. A few companies offer free walking tours around Berlin, but one that I myself went on- Sandemans is one I can fully recommend. 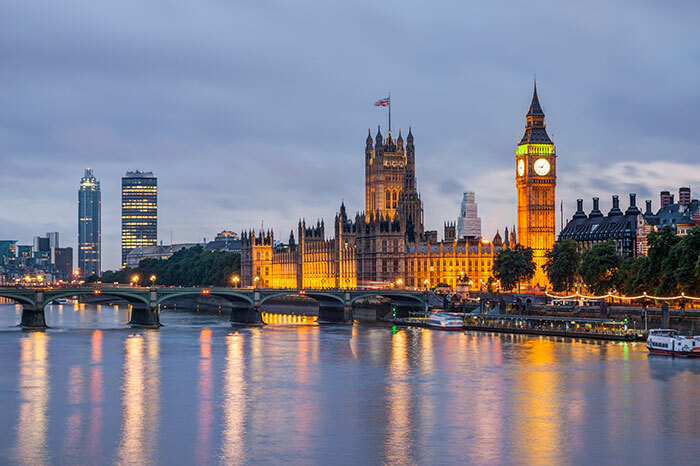 The tour was fantastic - you get taken to many of the main attractions and highlights, and the guides are full of interesting facts, information and stories. They also offer many other well-priced tours such as specific history tours, beer tours, pub crawls and more. Although Checkpoint Charlie has mostly degenerated into a tourist trap, it’s still a place to visit if you want to check that off your list. Once the principal gateway for foreigners and diplomats between the two Berlins, it was here where the world stood on the brink of WWIII when US and Soviet tanks faced off in 1961. A small, free outdoor exhibition chronicles the milestones in Cold War history. You can even pay a small fee to have your photo taken with the guards that stand there if that tickles your fancy. 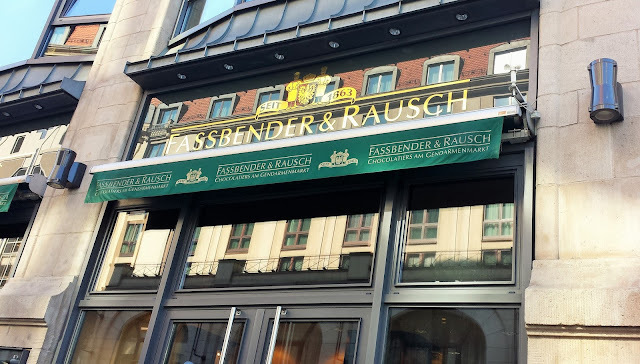 A little tip for chocolate lovers: you simply must go into Fassbender & Rausch- the largest chocolate shop in the world! In between Checkpoint Charlie and the Brandenburg Gate it is one of those shops you dream about. Just going in for a browse is a wondrous experience, there are giant chocolate sculptures galore inside- some even hanging from the ceiling! There are chocolate fountains and all of the different types of chocolates you could possibly imagine. 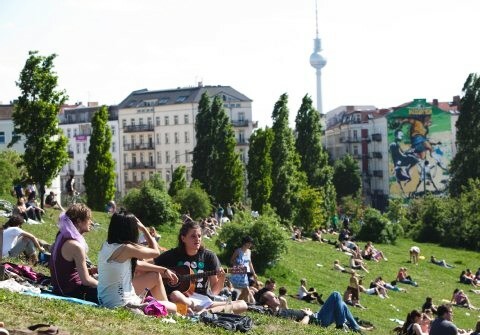 In Summer Berliners flock to their favourite parks to tan, picnic and 'Grill' and knock back a few beers. The Tiergarten is a large central city park filled with plenty of open green spaces, paths, ponds and romantic corners. For something unconventional head to Tempelhofer Park- a former airport turned public park. Grab a disposable BBQ at the supermarket and grill your bratwursts next to the former runway. Mauerpark in Prenzlauerberg is my favourite. Forged from the ‘death strip’ once dividing the two Berlins- it is a great hangout spot, especially on Sundays when there is a large flea market on. It also offers plenty of great food choices and entertainment, and many people flock here to chill with friends, people-watch and enjoy their Sunday. For budget-friendly accommodation, hostels are a great option. Prices can range but you can get a clean bed for as little as 10 Euros a night, for example at Corner Hostel. Search for hostels that are centrally located and with a fully equipped kitchen which can be a big money saver for yourself. You can get a pretty decent hostel for 25 Euros a night for example at One80 Hostel. This has a great location with many facilities and social events on every night of the week. Other popular hostels include Circus Hostel and East Seven Berlin. I prefer using AirBnB myself, as I prefer sleeping in my own room! This is another great option for affordable accommodation and you can filter through criteria such as where you want to stay, what your budget is and what your preferences are. Make use of the discount Supermarket chains Penny, Lidl, Aldi and Netto for groceries and products. Packing your own lunch and cooking occasional meals at your apartment or hostel is a great way to save money. You can pick up some fruit, bread, cheese and salami for example for a picnic lunch and make your own sandwiches all for around 3 Euros. Not to mention take advantage of the very cheap beer- you can pick up single 500 ml bottles for 0.70 € each! Don't miss out on trying the local German food though- it would truly be a crime! Döner kebabs are very popular in Berlin and you can find them everywhere- it's a very filling meal option which you can pick up for only 4 Euros. 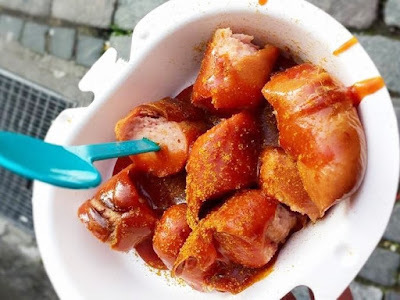 The currywurst is famous in Berlin for a reason! It's a great idea for a cheap snack or get it with pommes frites (french fries) for a more filling meal. Local bakeries are very inexpensive (and delicious!) and offer a wide range of freshly baked bread, pretzels, sandwiches, pastries and sweets for good prices (pick up a buttered or cheese pretzel for only 1€). Berlin has many Biergartens (beer gardens) to enjoy a drink at and most offer traditional big German meals for a reasonable price (I would recommend trying the schnitzel which usually comes with fries and an egg and trying the Schweinshaxe (pork knuckle) which usually comes with potato dumplings and sauerkraut- de-lish!). You can also find many Beer Halls which have very cheap beer and you can even take in your own food and snacks with you to save money. You sit at picnic tables inside and they have a really fun and social atmosphere about them. 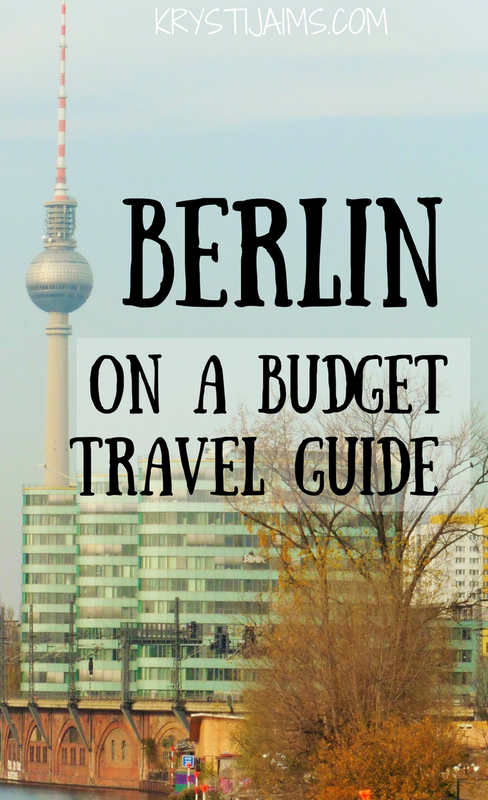 I hope you found this Berlin on a budget travel guide helpful! 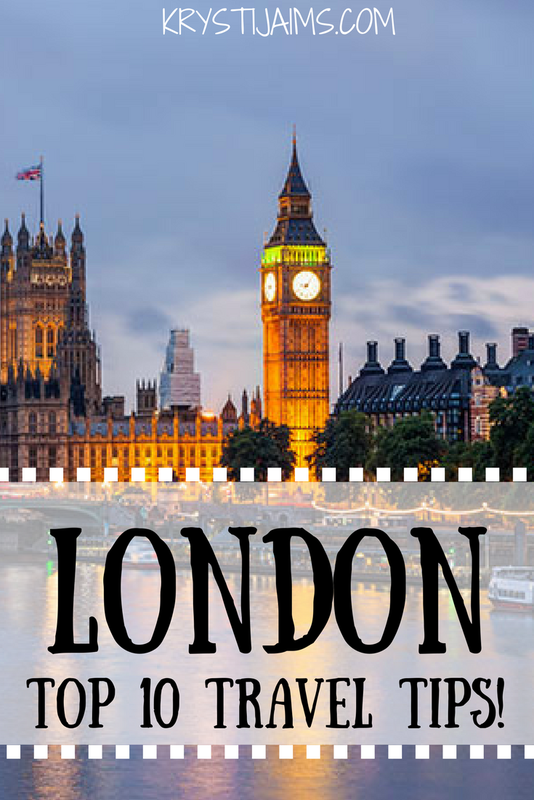 If you are interested in more cost of travel and budget guides to cities in Europe then stay tuned for plenty more coming in the near future. Feel free to comment if you have any questions or more tips of your own, I'd love to read them.